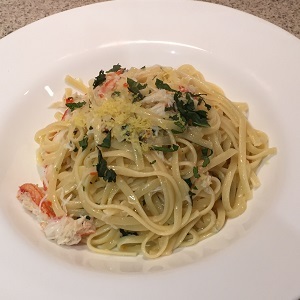 A light and delicious linguine and crab recipe with lemon and mint. The chillies add a nice subtle heat. Mint is a very pleasant surprise that compliments the crab perfectly.